HOUSTON COUNTY – New details are emerging in the Feb. 1 murder of 24-year-old Cadarius Dysha Williams, whose body was found in the Tadmor community. Tyron Dwuan Mark, 48-years-of-age from Lufkin, was apprehended on Feb. 3 and charged with the murder of Williams after Mark “… attempted to elude law enforcement and (a) vehicle pursuit ensued. Mark was eventually stopped and subsequently arrested for evading,” according to Houston County Sheriff’s Office Chief Deputy Gary “G.P.” Shearer. 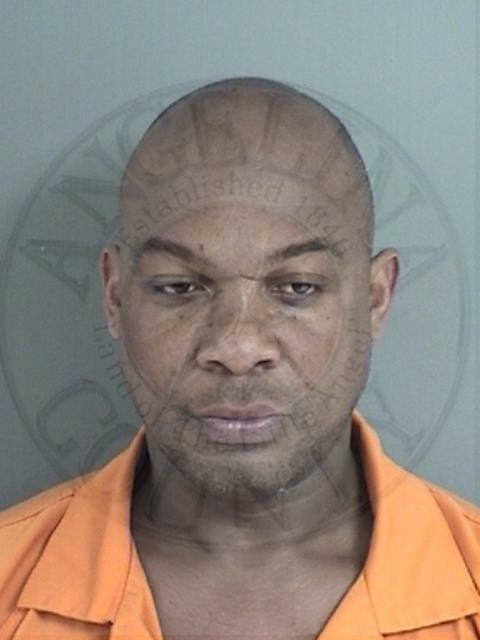 Mark was transferred back to Houston County on Wednesday, March 13 and according to the original affidavit of probable cause, a surveillance video initially led law enforcement officers to consider Mark as a suspect. After Mark attempted to flee from Lufkin Police Department officers, a search warrant was obtained for his residence. “A .40 caliber handgun was recovered at his residence. The ammunition in the handgun located at Mark’s home was the same as the ammunition that was found at the scene of the murder,” the affidavit reported. Tire tracks left at the scene of the crime also matched the tread pattern found on the tires of Mark’s 2011 Lincoln Town Car. Mark is being held at the Houston County Jail on one count of first-degree felony murder.